« What’s Obama’s Response to Pre-Election Cyber Attacks? After seven defendants were found not guilty following the Malheur Refuge occupation trial, lots of people are pissed off. I understand the thinking and hear the frustration. Especially when compared to what is happening to unarmed protesters at the Dakota pipeline protests. But did you know eleven defendants pled guilty? 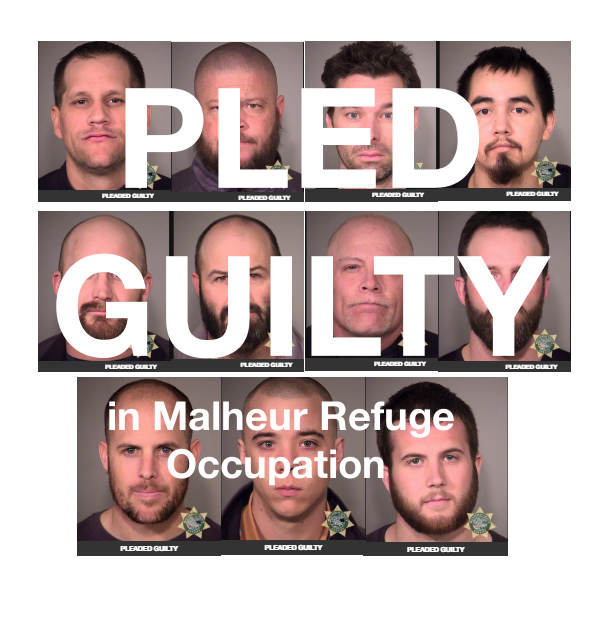 These people didn’t get acquitted of all charges: Travis Cox, Geoffry Stanek, Jon Ritzheimer, Ryan Payne, Joseph O’Shaughnessy, Wesley Kjar, Corey Lequieu, Eric Flores, Blaine Cooper, Brian Cavalier, and Jason Blomgren. One, Corey Lequieu, is already serving his jail term. Others, like Brian Cavalier, have been sentenced for crimes committed in Oregon, and still has to stand trial for charges at the Bundy stand-off in Nevada. Charges that the government did not press at the time. There are also seven awaiting trial. Remember this guy, Sean Anderson? 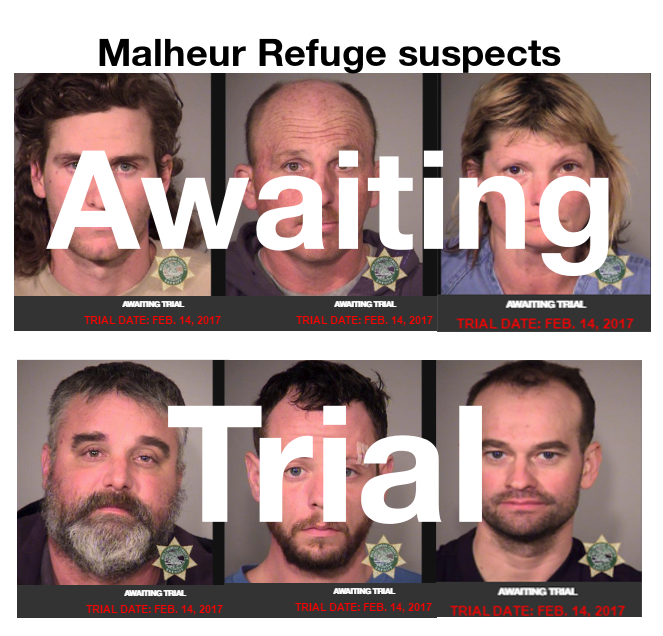 Yes, some of the big names from the Malheur Occupation got off, but that’s not the whole story. The government actually got a number of convictions, with more to come next year with the successful prosecution for crimes committed in Nevada. To the public, the Bundy Ranch standoff also looked like a success for the Bundy’s. But behind the headlines , you’ll find government agencies that wisely showed restraint and had a longer term plan to deal with the militia threat. If the Feds felt the need to look tough, like some politicians do whenever their authority is challenged, there might have been a blood bath. Some people at the Bundy ranch were counting on that reaction. A martyr for the cause would stir up their base and make the government look bad, even if they were totally in the right to act. The government needed to avoid a repeat of Waco, which they did. And, they used the crimes committed at the Bundy Ranch as leverage over armed protesters for crimes that weren’t prosecuted immediately. That sent a message to the militia movement for people who were planning future events. So while the government didn’t get the money Cliven Bundy owed, they did get leverage and evidence for cases against some of the same people who showed up at the Malheur Occupation. But the government’s biggest win from the Bundy Ranch Standoff was the chance for the media and public to see and hear that Cliven Bundy is a full-blown racist. The outing of Bundy as a racist was very powerful, and a major PR blow to his image because even hard-core supporters like Sean Hannity could not go on record embracing Cliven’s racism. Hannity had to disavow it and try to explain it away. He basically had to use the Hitler defense on Cliven, “Yes, he said that, but he had some good points!” Had there been a firefight showdown, the story of Bundy’s racism would have been eclipsed. Because law enforcement didn’t allow themselves to be baited into a firefight they were able to get more suspects in the future. They also didn’t get the two people out of jail who were convicted of arson. Dwight Hammond Jr., 73, and his son Steven, 46, surrendered at the Terminal Island Federal Correctional Institution in San Pedro, Calif., January 4, 2016 and are still in jail. “We won’t arrest you for crimes that we could put you away for. In exchange, you are going to agree to stop doing this, and keep us informed on what is happening. If you do go to other Bundy type events, you’ve broken our agreement, and we will throw the book at you.” Depending on the crime they committed, this can be serious leverage. We know that law enforcement cuts deals and makes informant agreements all the time. It happened here. So when people who were at the Bundy Ranch stand-off showed up in Oregon at the Malheur Refuge, the Feds knew they broke their agreement. They were arrested for the new laws they broke, plus the agreement they made earlier to avoid prosecution. For example, Brian Cavalier pled guilty for crimes committed in Oregon. He was sentenced to a year and nine months plus probation. He still has to stand trial for crimes committed in Nevada during that stand-off. He wasn’t prosecuted, then, he will be now. So, clearly the Feds knew Cavalier committed crimes and he knew he’d have to pay eventually. 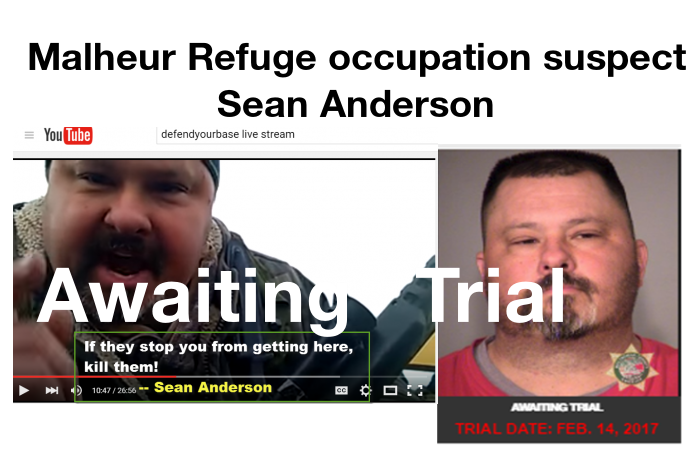 Over at Daily Kos, Jen Hagen has a great story about the occupiers turning on each other at Malheur. Some accused Blaine Cooper of being a government plant. Now where do you suppose they got the idea that someone would rat them out to the government? During the Bundy Ranch showdown I was upset that nobody was arrested for pointing their weapons at the federal employees. I believe that the decision not to arrest people was made to protect lives at the time. But it doesn’t mean that the government forgave or forgot. So now a bunch of these militia types are in jail, more are on their way and a whole bunch more know they are being watched. They won’t go out in a blaze of glory, but because of solid evidence gathered over time. The strategy of restraint is successful in the long run. I also want to point out that the government didn’t always have this restraint. They learned from their mistakes, and got better.